Electricians in Bundaberg are helping to keep the city thriving. Using their specialist knowledge and skills of the trade, industrial electricians keep industrial equipment that powers Bundaberg’s vast agricultural industry running. K Electrical is a key player in central Queensland, providing high-quality electrical work to a wide range of industries and commercial ventures. Our experience, knowledge, and highly qualified staff make us one of the top electrical companies in the state. Read on to find out how K Electrical is helping to keep Bundaberg alive! We all know that electricians are professional tradesmen with the skills to install, maintain, and repair electrical systems. What many don’t know is that there is more than one type of electrician. They aren’t all the same; some have skills and knowledge that goes above and beyond the average electrician. The difference lies in their specialisation, and in the type of environment they work in. There are three main types of electrician: the domestic electrician, the commercial electrician and the industrial electrician. Domestic electricians work on appliances and electrical systems in a domestic setting—they fix electrical problems within the home. Commercial electricians work within a bigger environment—in hospitals, shopping centres and schools. It’s their job to install, maintain and repair electrical and security systems in these spaces, and they may even be required to test these systems as well. Their tasks are fairly generalised and they work in areas accessible to the general public. 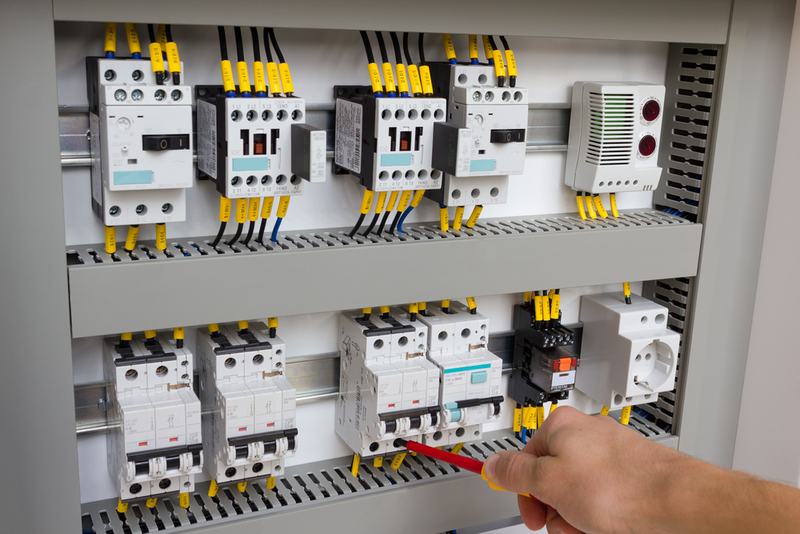 Industrial electricians work in large industrial establishments, like factories and warehouses. It’s their job to install, maintain, repair and troubleshoot the equipment, controls and units that use electricity in industrial areas. They’re even required to repair robotic and computerised electronic equipment. Their knowledge is specialised and encompasses a wide range of electrical equipment and methods. How do industrial electricians keep the economy growing? Industrial electricians keep industry and the manufacturing sector powering along. Through the use of their skills and qualifications, their maintenance, repairs and troubleshooting on industrial equipment allow the manufacturing industry to go about creating their products efficiently. They keep important electrical, robotic and computerised equipment in peak condition, which in turn allows industrial workers to perform their duties safely and effectively. Without the ongoing contributions made by industrial electricians in Bundaberg, these important parts of the local, state and federal economy would not be able to work productively, let alone prosper. Why is K Electrical the best choice for the future of Bundy? K Electrical has been involved in a wide range of projects in the area for over 40 years. From heavy industrial areas like sugar mills, fabrication plants and factories, to TECO electric motors and LED lighting; we have proven results in all areas of electrical work. We’ve been an integral part of Bundaberg and the Wide Bay area for decades. With dedicated, experienced and fully qualified staff, our high-quality work has led to us become one of the leading electrical companies in regional Queensland. With so much local experience, when it comes to Bundaberg electricians there really are no safer hands than ours.